It’s one day after the shortest day of the year and winter has arrived in Wellington. The temperature today peaked at 8 degrees celsius and is currently sitting at 5 degrees celsius. There is a southerly wind straight from Antarctica hammering the front windows and the rain is showing signs of turning to sleet. 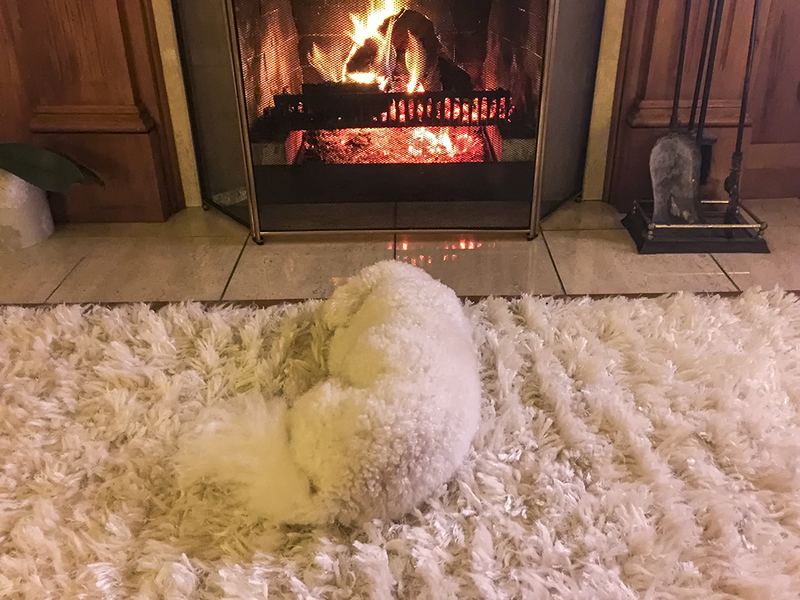 What better night to light the first fire of the season – and for Poppie to rediscover the delight of a warm hearth.